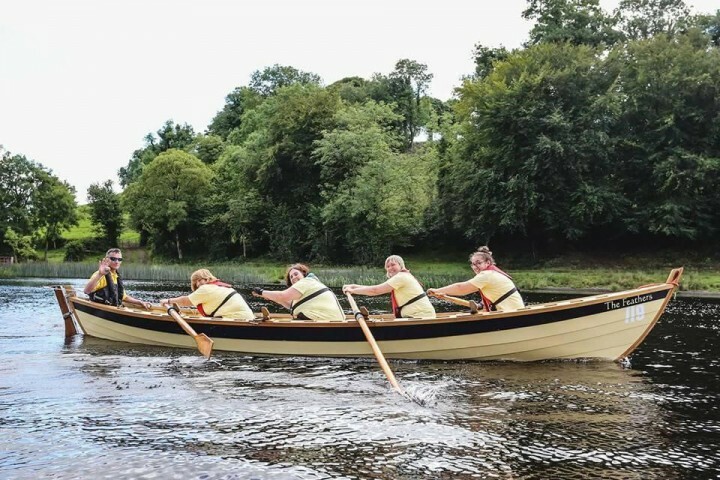 Why not come along and experience the fun sport of community coastal rowing, in a traditional locally built St Ayles Skiff boat, rowing in the same way coastal communities have for centuries?! You will have the chance to join experienced rowers in the boat, get on the water and learn how to row as a team. Experience how it feels to row or race alongside other community boats and workout in a fun way without even knowing you're doing it! You can contact Josie on07719529412 and Lynnn Andrews on 07886249429 or go to the Facebook page and send us a private message. Each person will get a chance to try rowing a 22ft St Ayles Skiff as part of a 5 man team (4 rowers and 1 cox). Trainers or wet shoes, sports clothes (layers for warmth, though you will get warm rowing so make sure layers you can remove), coat, towel, water bottle, spare clothes in case you get wet.